Tiny twinkling gold bars have been set on rich 24k gold plated chains to create this mesmerizing dainty anklet, perfect for layering. 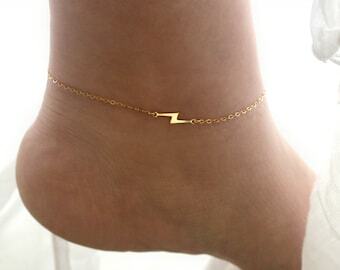 This anklet is adjustable between 9 - 11 inches long. 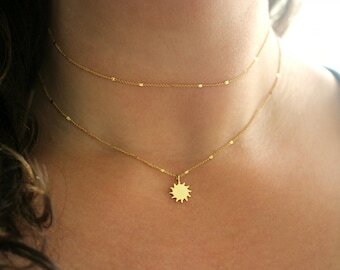 The 1.5mm 24k gold plated chains are finished with a 24k gold plated lobster claw clasp.